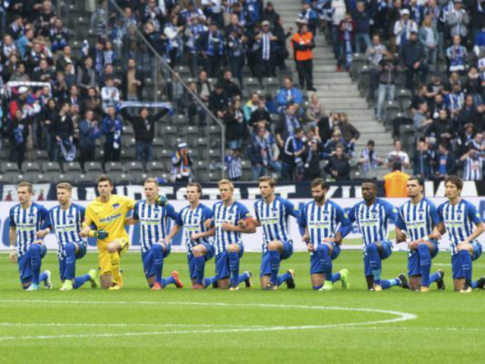 BERLIN (AP) — Hertha Berlin nodded to social struggles in the United States by kneeling before its Bundesliga game at home on Saturday. 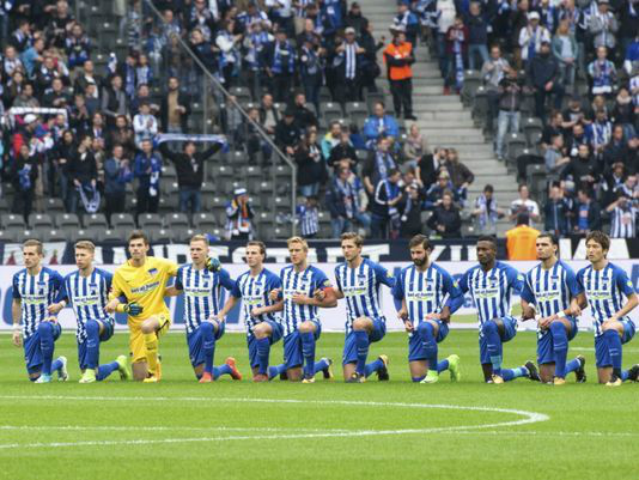 Hertha’s starting lineup linked arms and took a knee on the pitch, while coaching staff, officials and substitutes took a knee off it. “The area around the Alexanderplatz metro in Berlin has become a centre for migrant youth gang violence and drugs, leaving the police to lose control and the district to demand more resources to fight the lawlessness. The action was intended to show solidarity with NFL players who have been demonstrating against discrimination in the U.S. by kneeling, sitting or locking arms through the anthem before games. Update (3:30 pm ET): ESPN has suspended host Hill for her second violation of the network’s social media guidelines on Monday after she urged her twitter followers to boycott the Dallas Cowboys’ advertisers. 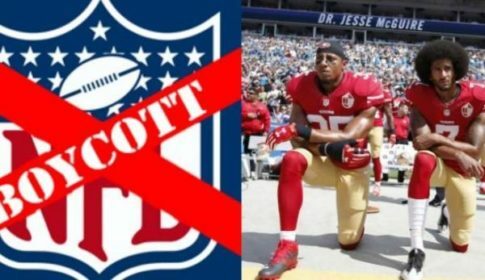 Having been reprimanded by her boss (and President Trump) for her previous divisive remarks, ESPN’s Jamele Hill called on football fans to boycott advertisers who are aligned with teams pushing back against ‘kneeling’.